Hunter X Hunter is one of the most awesome adventure-action shounen anime out there, with a well-rounded entirety and a much-anticipated plot. As a matter of fact, if you’ve been following this series so far, you’d know that it’s actually a reboot called Hunter X Hunter (2011), which is proof of how remarkable and amazing it is! It proved exactly that when it showed in 2011. I’ve been a fan and avid watcher ever since it came into existence. I’ve watched its old version, the new version (reboot), and even read the manga. I can testify that it simply is brilliant and awe-inspiring. The story, the action, the drama, the scenes, and more—everything’s essentially splendid! Now, If only more people would watch it. And so, I’m here not just to tell you how good it is, but also to share some anime titles with you that have that same fantastic aura. Left in the care of his aunt by his father, who happens to be a hunter—a glamorous title befitting only the most powerful, strongest, and most talented people—Gon Freecs grows up believing that being a hunter must be something really great; it made his father leave him to grow up without him. And so, at the age of twelve, Gon embarks on his own journey to be a hunter and seek his father. Of course, the path is laden with difficulties that are extremely dangerous and often deadly. But, with Gon’s strong will and support from his new-found friends, he’ll overcome any hardship in order to become a great hunter and fulfill his wildest dreams. 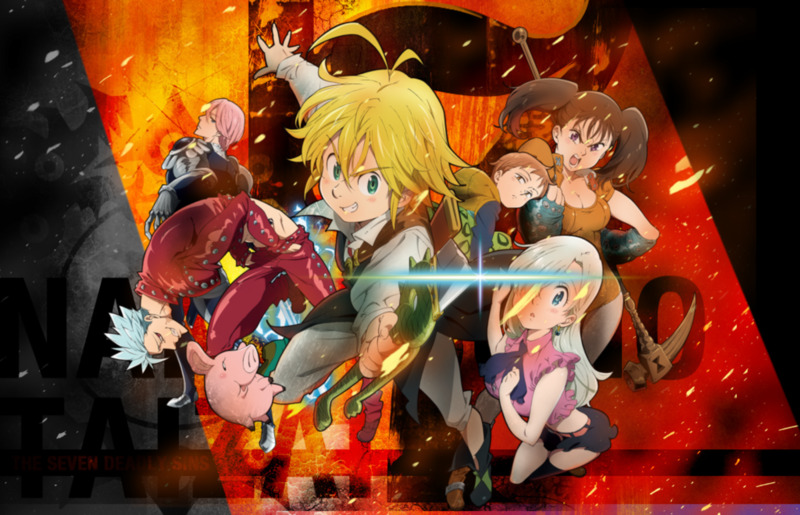 The Story: When the kingdom of Liones falls into the hands of its traitorous Holy Knights, Princess Elizabeth is left with no choice but to seek the kingdom’s most wanted criminals—the Nanatsu no Taizai (Seven Deadly Sins)—and ask them for help. Despite the group having been missing for ten years, Princess Elizabeth never lost her faith in them; instead, she believes that everything that has happened so far was premeditated by the evil Holy Knights of the kingdom, who are brewing a devastatingly dreadful plan. Now traveling as the “Rusty Knight," Princess Elizabeth stumbles upon the Boar Hat Bar—the travellng bar where fate has arranged for her to meet the Dragon’s Sin of Wrath, Meliodas. The Similarity: Nanatsu no Taizai is a grand adventure-action anime. What makes it great is that it follows a very well-balanced formula that actually makes sense. The battles aren’t just mindless fights where the characters throw in everything they’ve got; they are set up in such a way that you feel the excitement and thrill in every turn and twist. And the adventure—it’s true to its name! The characters are on an exhilarating adventure with surprises jumping out now and then. Lastly, the plot is extravagant and highly engaging! It’s funny when you need it to be comedic, and it’s serious when the situation asks for it. Truly, this anime, much like Hunter X Hunter, can get you really involved and engaged with the story, it progress, and its characters. 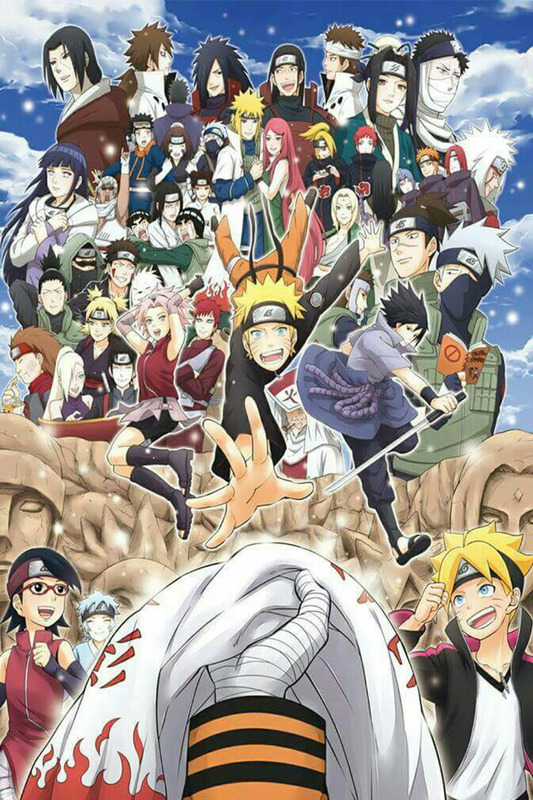 The Story: Called Naruto (the first half) and Naruto Shippuden (the second half), this epic ninja tale tells the story of Uzumaki Naruto and his legendary ninja quest to become the Hokage of his village, Konohagakure (Hidden Leaf Village). Having been shunned all his life because of the “nine-tailed demon fox” sealed inside him, Naruto has always longed for recognition, which shapes his mischievous yet lonely personality. He’s not that talented, and most of the time gawky, but he has a big dream and a big heart, all of which will bring him to the grand plan destiny has for a gutsy ninja like him. The Similarity: Not counting the countless mostly boring fillers, Naruto deserves recognition for being an epic ninja anime. From the very first episode, you see how all the main characters are growing into something brilliantly meaningful as the story progresses. Through thick and thin, everyone is always interesting. And the battles, they do get a “super power” feel as the story progresses, but they’re still very intense and exciting nonetheless. 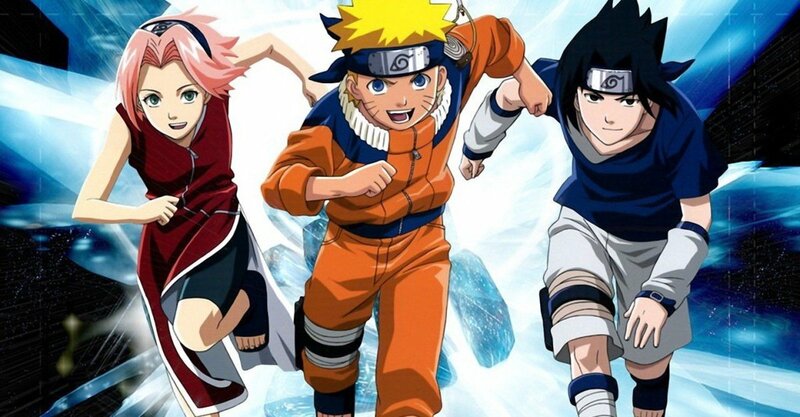 Overall, you feel some ups-and-downs watching Naruto, depending on how you interpret it and how you keep up with its main plot, but its similarity with Hunter X Hunter is quite profound if you look more closely at the themes. The Story: Magical labyrinths called dungeons have suddenly appeared throughout the world, and they promise immense wealth and power to those who successfully conquer them. It’s not that easy a task though, because countless have tried only to meet their untimely demise! Somewhere in the world out there is a young man named Alibaba Saluja. He dreams of conquering a dungeon one day so he can realize his dreams and aspirations. One day, he meets a boy named Aladdin who seems like a normal boy, but whose entire identity and existence is a mystery. Later on, both Alibaba and Aladdin find themselves on an adventure together, trying to conquer their very first dungeon—Amon’s Dungeon! The Similarity: Magi might look very magical and innocent at first, but actually, it’s darker than anyone would have thought. Some characters in this show just seem to die off in a very untimely and unexpected manner. 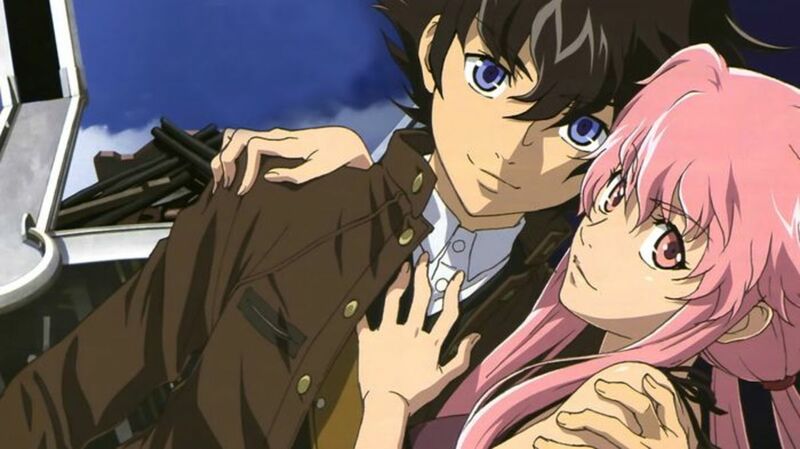 Though it has its light and warm moments, the underlying plot is serious and dark. 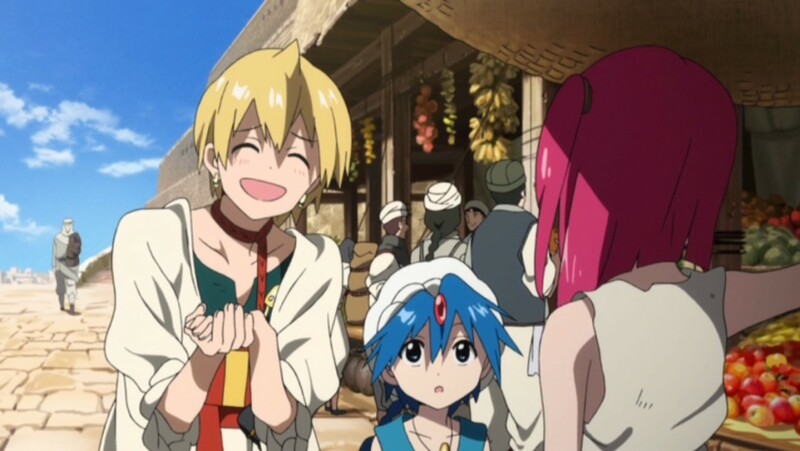 Similar to Hunter X Hunter, Magi leads us on a world-class adventure with jubilant characters in a realm full of despair and depravity. The Story: Following the demise of Gol D. Roger the Pirate King and his revelation of an unbelievable treasure (the "One Piece"), the golden age of pirates commences, with many pirates setting off on their own sea-faring adventures, seeking the One Piece and the title of Pirate King. One of the budding pirates is Monkey D. Luffy. With his unorthodox (actually unpirate-like) ways, he sets off on a gigantic voyage with the “Straw Hat Pirates” to search for reliable and powerful crew members, find the legendary treasure One Piece, and ultimately become the Pirate King! The Similarity: One word: Adventure! One Piece is one of the grandest and biggest when it comes to adventure, and that’s where it is the equal of Hunter X Hunter, with One Piece actually taking the lead). The only difference is that One Piece’s battle scenes aren’t that well-thought-out and strategic; they are more power-and-punch clashes. But, in terms of story, plot, drama (not quite), action, comedy (one of the greatest points of One Piece), and adventure—One Piece is a really great anime series to watch! The Story: When Yusuke Urameshi, a troublesome delinquent teenager, suddenly dies because of a selfless action—he saves a kid from getting hit by a car—he finds himself a ghost, not knowing what to do next. As a ghost, he is tested by Koenma, the son of the ruler of the afterlife, to see if he’s fit to return to life and be a spirit detective. Yusuke passes the test of Koenma and returns to life. But now, as a spirit detective, he has to help in investigations of the supernatural entities in the world (the demons) and capture them or battle it out with them if necessary. The Similarity: If you’ve watched both Yu Yu Hakusho and Hunter X Hunter already, then I’m sure you’d notice the vast similarity in both, especially the characters. 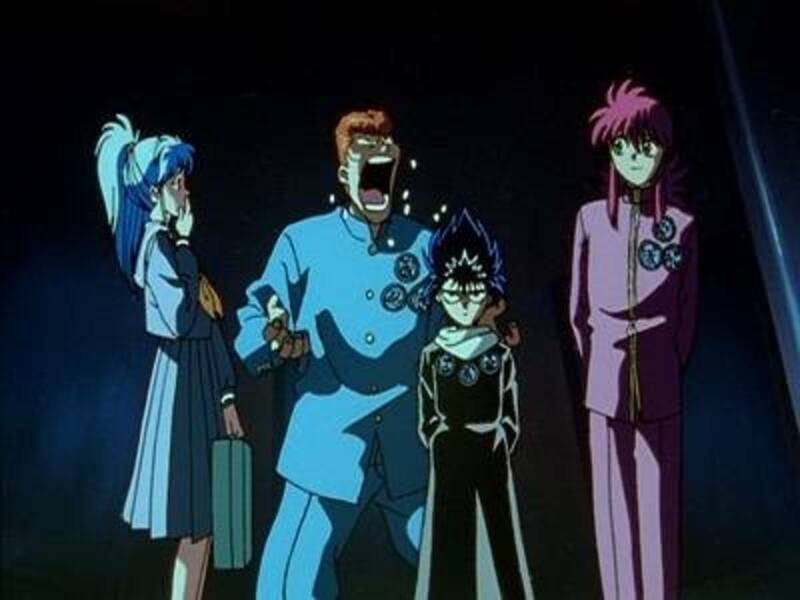 There are a lot of character-counterparts: Yusuke and Gon, Killua and Hiei, Leorio and Kuwabara, and Kurapika and Kurama. Besides that, the overall themes are quite similar. It just so happens that Yu Yu Hakusho is older and already one of the classics. But all that having been said, the sameness is rooted in the fact that both anime were created by the same person: Yoshihiro Togashi. The Story: Shiro and Sora are both known as the legendary gamer “Blank." As a brother and sister sharing a very deep bond and living as Hikikomori N.E.E.T.s, both have managed to break the limits of gaming and begin questioning whether they were born into the right world. One day, a message from the god of another world arrives, asking if they would want to be summoned to a different world. That god is a boy named Tet who is the one true god of the world of Disboard: a world where there is no murder and crime, and where conflicts are resolved by games. Now, Shiro and Sora will grind their way from the bottom to the top in order to gain the right to challenge the one true god, Tet himself. The Similarity: If you liked how the battles were laid out in Hunter X Hunter, as if everyone was fighting a battle of not only power and strength but of mind and wits, then you’ll surely find the same satisfaction with No Game No Life. 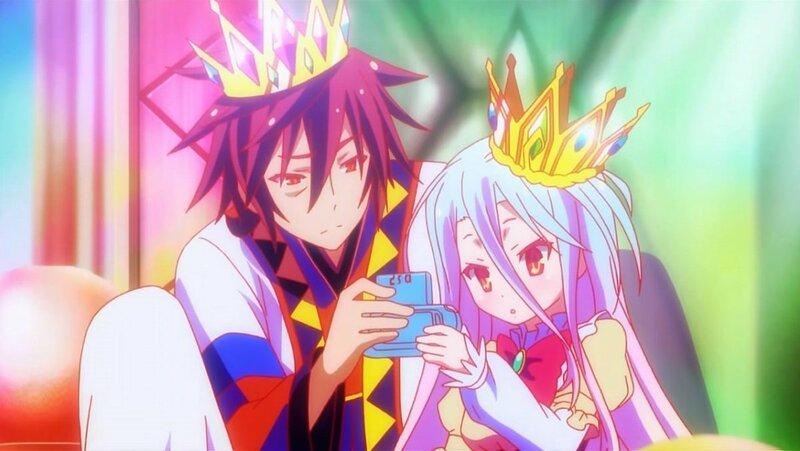 Although No Game No Life has little to no physical combat or fight scenes, it makes up for that with its mind-blowing mind battles/games. In the world of Disboard, strength and power usually have little effect in a battle; what matters is the power of the mind, in order to pull out brilliant strategies and prodigious tactics in the blink of an eye. 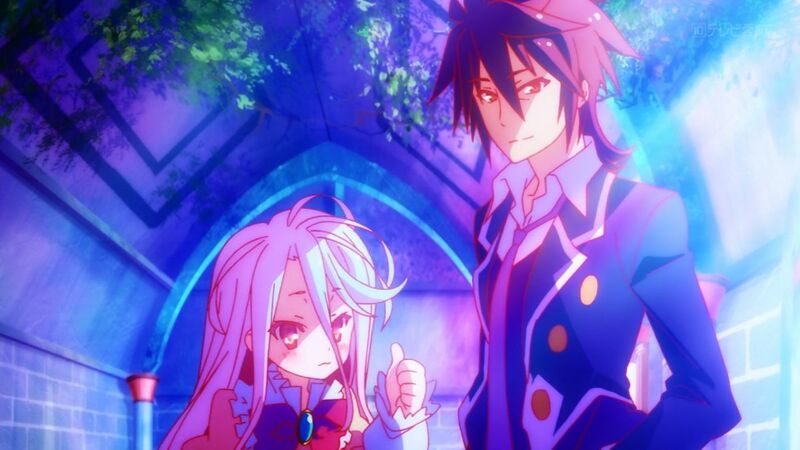 Like Hunter X Hunter, No Game No Life is also set in a fantasy world full of mystery, so I’m sure you’ll like it just as much. The Story: When beings from another world, known as “Neighbors,” suddenly appear in the heart of Mikado City through a dimensional gate, they bring destruction in their wake. Fortunately, an organization of mysterious yet powerful people known as the “Border” jumps into the fray to stop the neighbors’ invasion. Now, Border serves as a task force securing peace and order in Mikado City, ensuring safety when neighbors suddenly attack. Years after the attack and the formation of Border, a mysterious boy named Kuga Yuuma transfers to a school in Mikado City. His identity is a mystery and his goals are unknown, but he is an experienced combatant, and claims to be a Neighbor from the other world. The Similarity: While Hunter X Hunter is set in a more current world and time, World Trigger is on the Sci-Fi side of things. And while Hunter X Hunter has better story development and action scenes, World Trigger has entrancing elements of its own. For one, the battle scenes in World Trigger use the power of the mind instead of just sheer strength. The plot is also full of surprises and potential. Also, even though the main character is already quite strong (Kuga Yuuma), he has room for much growth and development, as do the other members and major characters. One Last Poll Before You Leave! 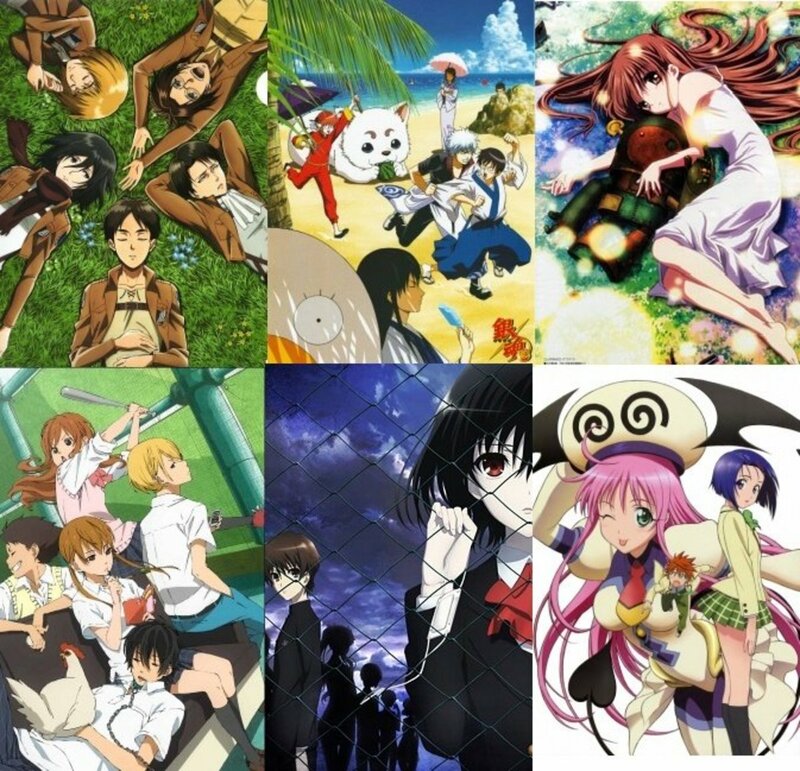 How many anime shows from this list have you watched? 0 - None of them! 3 - I think Three! 4 - Four is the number! 5 - Something like Five! 6 - Almost all, Six! I honestly don't think any other anime could make me feel the same way as Hunter x Hunter did. The last few episodes, and a selected few in between, really hit me hard. It's unexplainable. But I think I can settle for second best. It may not be sensible at first, but One Piece is a close second in my opinion. 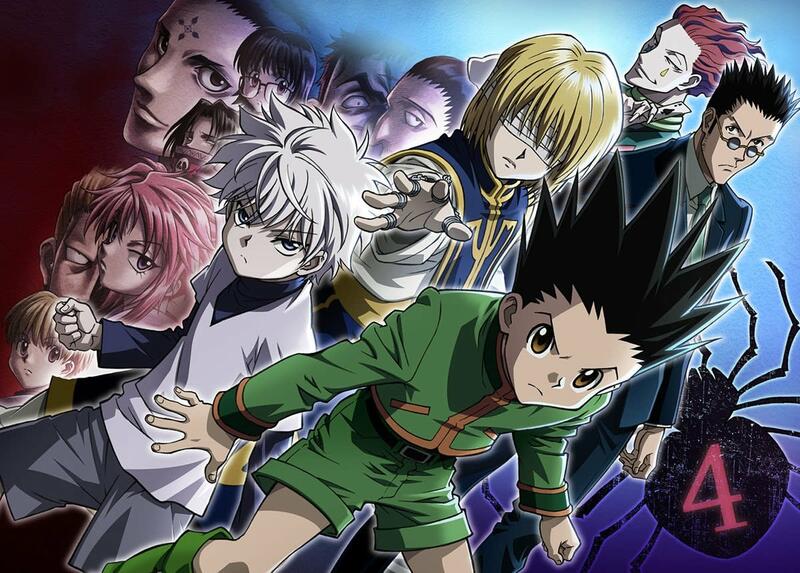 Hunter x Hunter will forever be one of my top ten favorite animes, ranking number one! They know exactly when to make you cry, laugh, anger the hell out of you. It's magical. If you like Hunter x Hunter then I highly recommend YuYu Hakusho and Full Metal Alchemist: Brotherhood as they both give you a similar yet different feel to it, large and amazing cast, each having their own purpose, very well done fight scenes, outstanding character development, comedy, the thrill that just keeps you on edge and overall just the lost and gain that occurs as the story progresses, both of these stories are so well done it will create the same empty void in your stomach after finishing just like HxH did. God can't believe I'm actually gonna say this, watch Gintama, no kidding that anime is basically every anime genre Shounen Jump has come up with, all though 90% of it is pure comedy that will for sure make you forget whatever is going on around you, it has it's serious moments that make it so hysterical, it also makes very clever references to popular anime like DBZ, One Piece, Naruto, etc... Worth watching if you just feel bad. If you like Hunter X Hunter as much as you say you do then I highly recommend watching Full Metal Alchemist: Brotherhood and YuYu Hakusho, it would take too long for me to explain why you should but let's just say after you finish watching either of these animes you'll feel the same emptiness left in your stomach just as badly as when you finished HxH. Trust me on that one, it would be a mistake not to watch it before you die, or er- Something cliché like that. I want something bloody like HxH. One Piece isn't bloody at all. The same for Naruto or Fairy Tail. @Cooper The ones listed here. I'll be adding three more soon. i just finished watching hxh i really liked it. 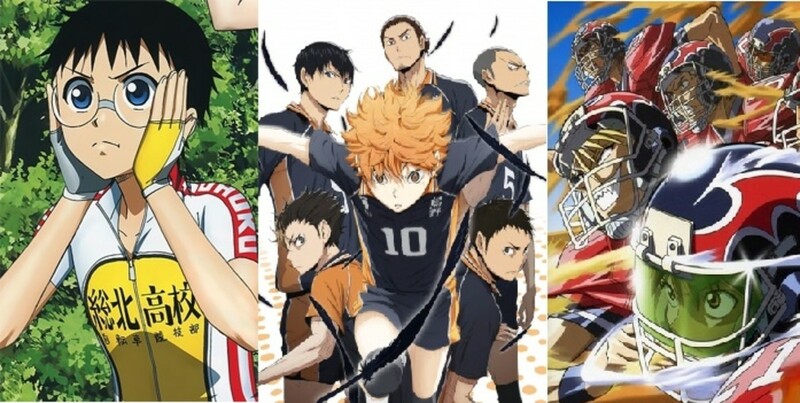 is there an anime that you would recommend i watch? Not surprised to see Yu Yu Hakusho on this list- it was written by the same Mangaka after all! Okay, that's your perspective. They're both main characters though. 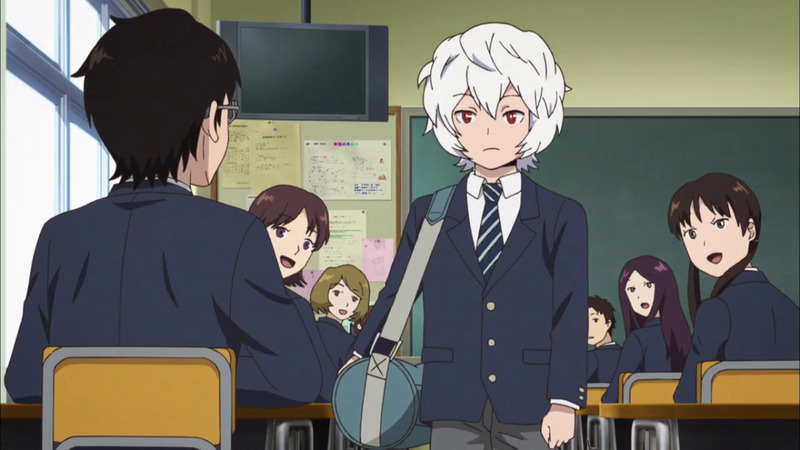 Kuga the main character in World Trigger? You have to be kidding me. It is Osamu. He is the one who starts low and advances, using mind rather than sheer strength to win. The story follows his conflicts with Border. Kuga is a major character sure, but he is more of a friend that offers a challenge for Osamu. Kuga puts Osamu's status with Border at risk, he constantly pushes him to be stronger, and forces him to learn more. If anything Kuga is a friendly antagonist to the protagonist (Osamu). I loved Hunter x hunter :3 but Fairy tail is my favorite!!! and Log horizon could fit too, right? I'm new to anime and about to finish HxH, I know I'm gonna be depressed when it ends so I need new material to watch. Thanks for the list! I'd probably watch No Game No Life first cause it sounds kinda simmilar to SAO, I also got my eye on Magi, World Trigger and One Piece. Hunter X Hunter is such a great Anime. 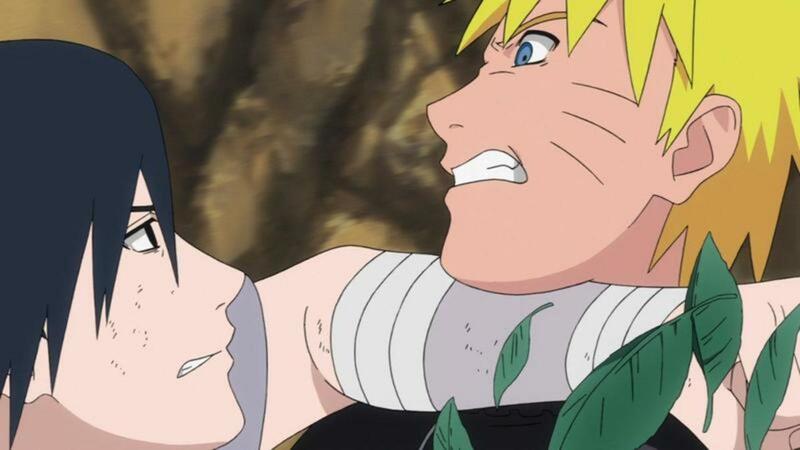 Naruto has way too many episodes, I'm not sure I have the patience to watch them all. Got my eyes World Trigger, looks very interesting from the trailer. I've started One Piece, loving it already.